We travelled here with our sister and brother-in-law, enticed by a deal that had hit one of our inboxes. If nothing else, the deal got us there, but in hindsight we may have been better selecting a hotel ourselves, one that was closer to the heart of Hong Kong. HOT TIP: Stay close to Tsim Sha Tsui (“TST”), which gives you easy access to shopping in Nathan Road, the bustling markets, and the ferry crossing Victoria Harbour to the main island. Or stay in Central, from which you can easily visit the main commercial area, Victoria Peak and boats to Macau. Or stay in the upmarket Causeway Bay for a variety of shopping options. One thing we noticed and loved about Hong Kong right away was the fantastic train system. Fast, punctual, clean and safe was our experience of them. We whizzed along from the airport, having purchased our Octopus Card when we landed. Another HOT TIP: Get an Octopus Card at the airport. 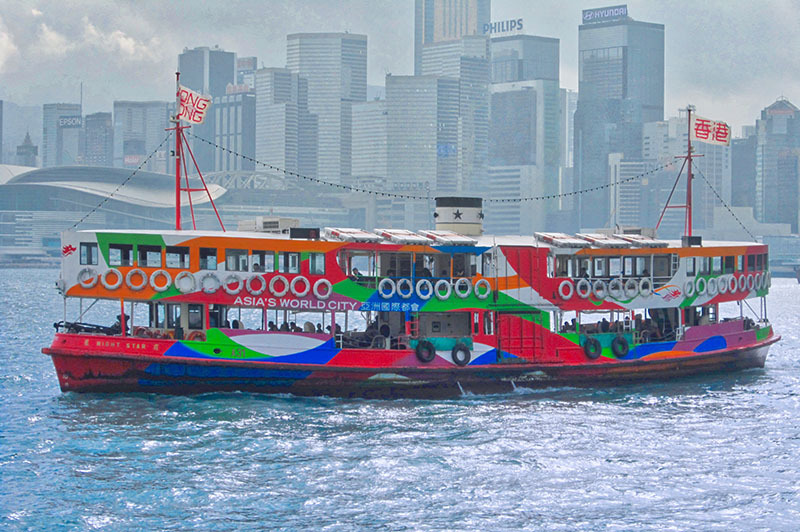 Load it with some money and use it all over Hong Kong – for trains, buses, ferries, tramways, plus many retail outlets like supermarkets, departments stores and fast food outlets. You pay a deposit of HK$50 for the card when you purchase it, and get that refunded when you hand it back in at the airport. With the massive traffic congestion, using the train is the best and fastest option for getting about. We also loved the orderliness of the Hong Kong people. Public transport was always interesting, and the elderly were always given seats by the younger. On the ferries, and trains there was a strict no-feet-on-seats policy and no eating that was policed. On the whole we felt very safe in Hong Kong, although the bicycle shop next to Tim Ho Wan (famous for pork buns) openly had guns and ammo on display in unlocked cases, which left us a little uncomfortable. Hot Tip 3: If you are looking for somewhere for dinner, and your taxi takes you past a long queue, get out! We had to queue at the famous Tim Ho Wan, and happened upon another restaurant queue at a random that turned out to be mouth-wateringly good, AND cheap. 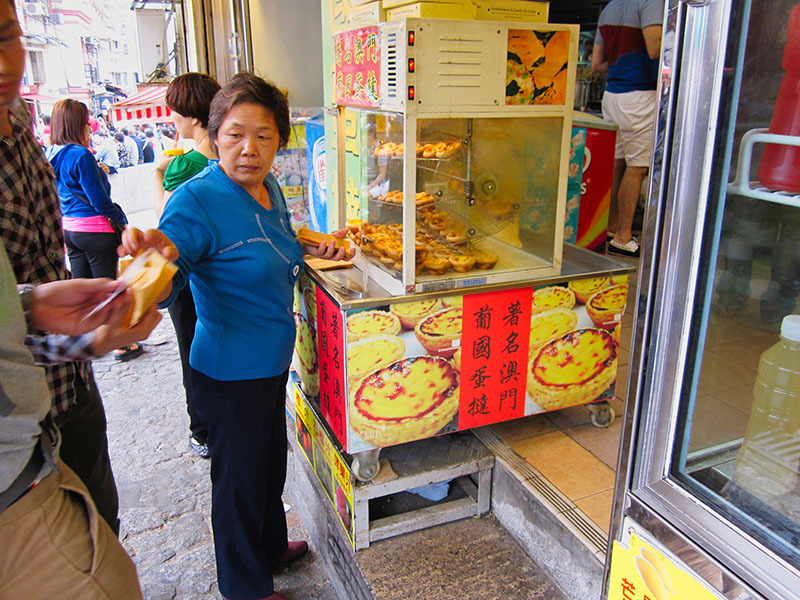 Grab a Portuguese tart in Macau! 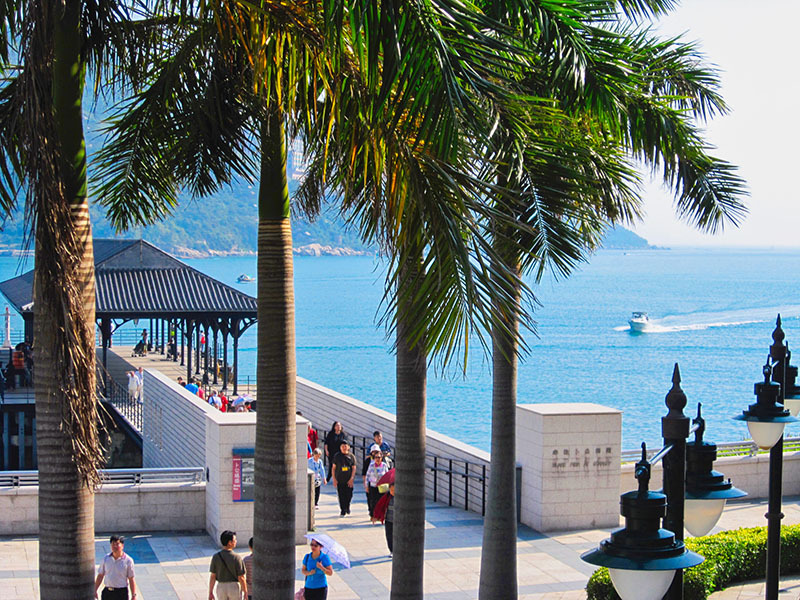 Jump on a BigBus (green route) and you’ll pass by the most expensive suburb in the world, Deepwater Bay, and stop at Repulse Bay for some up-market shopping at Stanley Market. You can wander the European looking bay or lunch at the beach. Nathan Road. We weren’t there to purchase designer goods, but if we were, this long street is the place to go! 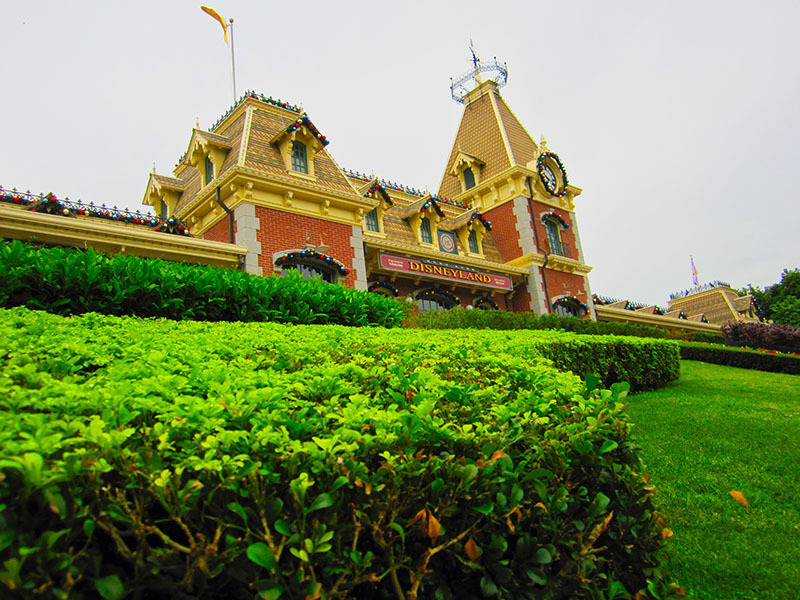 Hong Kong Disneyland. We spent a day here, playing like kids. Having been to Anaheim Disneyland, we loved this for the lack of crowds and lack of queues. HOT TIP: Take a ride on the Ding Ding – featured below in our holiday video. This city was fun, efficient and such a mix between old, new, traditional and skyscrapers. One more HOT TIP: take your laundry to a local laudromat – they charge on weight (and are super cheap). Your washing will be ready for you to pick up that afternoon or the next day, clean, and neatly folded. Do you have any things you loved about Hong Kong that we missed? We’d love to hear from you (and we can add it to our next visit! ).